Soups & Salads There are 7 products to choose from. Insalata Tiberio con Yoghurt : Lettuce, Tomate, Fresh Cheese, Cucumber, Green Pepper, Carror, Egg, Sweet Corn, Fruit & Coconut. Best Italian Restaurants Costa Teguise Lanzarote Takeaways. Insalata Tricolore : lettuce, tomate, cucumber. Takeaway Costa Teguise, Lanzarote, food delivery with a variety of restaurant from Costa Teguise offering Pizza, Kebabs, Chinese, Indian,Thai, Italian, Canaries, Spanish and much more. Order high-quality takeaway online from top restaurants in Costa Teguise, fast delivery straight to your home or office . Italian Restaurants & Pizzerias Costa Teguise Lanzarote. Get amazing food from an incredible selection of local restaurants or takeaways in Costa Teguise Lanzarote . 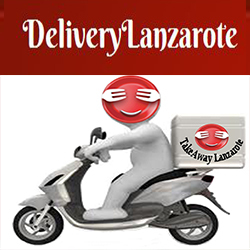 Italian Trattorias y Pizzerias Takeaway Lanzarote, Italian Restaurants takeaways , italian food delivery Costa Teguise - Best Italian Restaurants Lanzarote with Delivery Takeout Canarias Las Palmas.